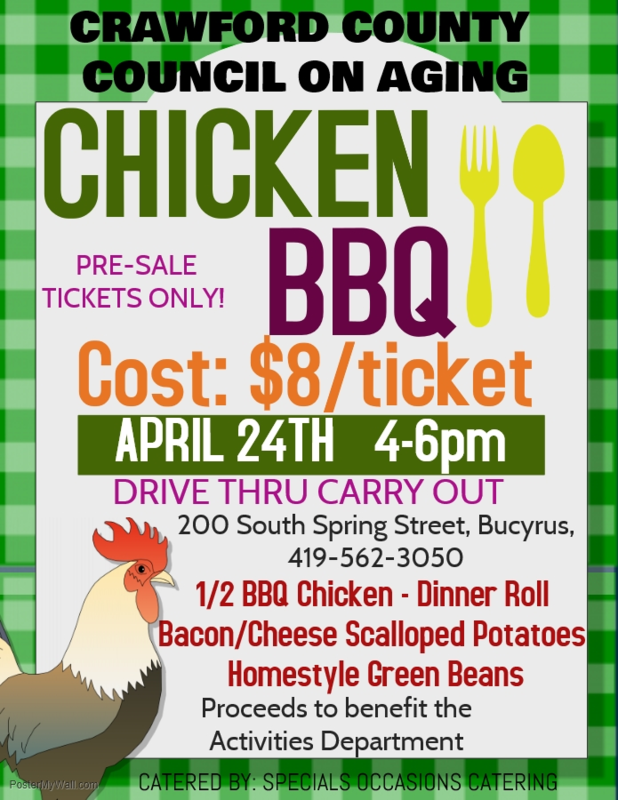 The Crawford County Council on Aging is holding a Chicken BBQ on Wednesday, April 24 from 4 pm to 6 pm with 1/2 BBQ chicken, dinner roll, bacon and cheese scalloped potatoes and homestyle green beans for $8 each. Tickets are pre-sale only – call 419-562-3050 or stop by the COA for tickets. The meal is drive-thru carry out and is catered by Special Occasions Catering. Proceeds will benefit the Council on Aging’s activities program.